It’s that time of year again folks! 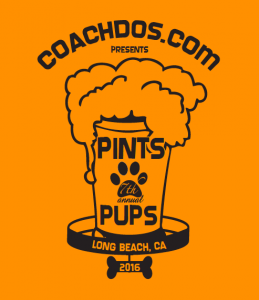 Time to throw back some PINTS FOR PUPS! As always, we will be crawling in the awesome Long Beach Pike area on the Thursday prior to the start of the Perform Better Summit (8-11-16). Sign up here to join us or simply to make a donation to the Friends of Long Beach Animals – we feel awesome that our donation of $7,140 last year helped to complete their state of the art clinic!! Unable to join us but still want to help… Click the button below and donate ANY AMOUNT! Enjoy a look back at last year’s event! Previous articleWOW – Amalfi Coast Italian Circuit!